This is a DAW controller but does so much more. This has a 16-channel controller, two pre-amps and a USB soundcard. 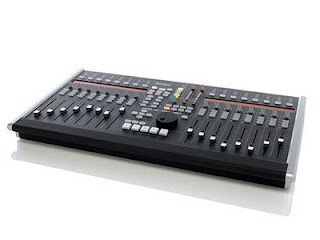 The control surface is split into two 8 channel sections. Each channel has a fader, pot, buttons for cut/mute, solo and channel select, and a meter at the top. There are analogue ins and outs on the back. This is a well-designed unit that offers an all-in-one solution for a variety of DAW needs. For more info visit Solid State Logic here. Artists and bands be sure to submit your music to these radio networks.